Shoulder injuries can be problematic for the primary care physician, not just the diagnosis but coming up with a treatment plan, getting a good evaluation. Hi, I’m Dr. Brian McDonough, and welcome to Primary Care Today on ReachMD. My guest is Dr. Kelton Burbank. Dr. Burbank is an orthopedic surgeon at the Wooster Medical Center. He has written many articles, the one in particular I found interesting was in the American Family Physician where he took a look at shoulder injuries and worked with a couple other primary care doctors, putting together an article where they talked about common injuries and, first of all, welcome to the program. But what I liked about your article, what you did was you kind of broke it down into the common things we see and, I want to start off a little bit perhaps if we could with rotator cuff injury since that is one of the ones we hear about the most. It occurs commonly. How does a person come into the office who’s suffering from one of them? Well typically, it really depends on the age. So, the age is really the first clue as to what’s going on. 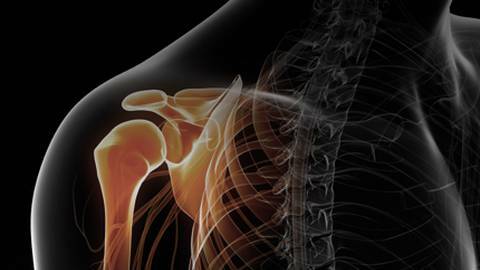 So, rotator cuff problems typically happen after age 40, more likely after age 50, and up to about age 80. And after age 80, probably everybody has some rotator cuff issues; they’re just not as relevant. And, typically, the patient will come into the office with some pain located along the lateral aspect of their shoulder. Now, shoulder and neck issues can sometimes be hard to differentiate, but I find typically shoulder problems, or more specifically rotator cuff problems, the patient kind of localizes the pain to the lateral aspect of the deltoid. It’s more of an achy pain and it often will radiate down to the elbow, but rarely past that, whereas neck problems, which sometimes can exist with the shoulder problems, are more likely to occur in the back of the shoulder near the scapula and often will radiate down the arm past the elbow into the hand and typically they’ll describe this as more of a burning or a numb feeling. So, that’s typically the first way that I figure out what I’m working with. And when you do that, you’re obviously evaluating that, you kind of get a start at what you’re looking at, you’re evaluating it. What sort of treatments do you have? I mean, do you go right to surgery? Is it physical therapy? What’s the way to approach it? I think it depends too on the physical exam, you know, how much problem they’re having with it. So, if I find that they can’t lift their arm or if they can lift their arm but they’re having a lot of pain and weakness, or they’re unable to do their activities, often we’ll next go to imaging. Because it can be very hard to tell when somebody has rotator cuff dysfunction if that’s caused by pain, which will often inhibit the shoulder from working, or actually a frank tear. So, I find in the setting where I am concerned about a rotator cuff tear, an MRI scan is really invaluable. We have such better technology than we used to, maybe even early on in your career when you looked at and you evaluated these things. Are there are certain go-to tests you can go to to evaluate these things that can be helpful for the primary care doc? Yes. I do think, I would say that one of the first things you ought to do is get an x-ray, although you can’t see the rotator cuff in the x-ray, you can get clues as to what’s wrong. Often you can see glenohumeral joint arthritis which would be a big clue that something is going on, obviously. Also, you can see some calcific tendinitis and in a very old chronic tear, the humeral head will actually be lifted up out of the glenoid and be off and abutting or near the acromion. And in some of these situations, you may not need to go on to an MRI scan. It really is important to fit the imaging with the exam, but if the x-rays are otherwise normal and you are detecting weakness and difficulty with motion of the shoulder, I think that the next step would be an MRI scan. I would say I see a lot of people that get MR arthrograms and I don’t think an MR arthrogram is very useful in anyone over about the age of 40. So, what you should do is kind of look at the patient you have, obviously, the conditions, the symptoms they have, their age group, and you mentioned about rotator cuff. I guess a lot of the tears occur more in young people, and then you have the different type of maybe not as complete injuries when they’re older. How’s that break down? I think that in young people it’s more likely to be traumatic. They had a big fall on their shoulder and then they’re left with the inability to lift their arm or weakness. I would say, you know, don’t be fooled. Some people with rotator cuff tears can lift their arm and move it quite easily. It’s really testing the specific rotator cuff muscles with a careful exam that you can differentiate and come up with the observation that they are quite weak, despite full range of motion, but the younger people are more traumatic. So, somebody over the age of say 40, 45, that dislocates their shoulder, they typically have a rotator cuff tear, not the typical labral tear that you would see, you know, in a 20+ year-old football player that dislocates their shoulder. You know, you bring up labral tears. That’s a big issue. I know a lot of young, high-school, college-aged baseball players will run into that, they just, you know, they throw and throw and throw, and so many of young athletes now are playing sports all year long. Do you think overuse is contributing to these things? Yes, I think absolutely it is and fortunately a lot of the governing bodies of these sport organizations such as USA Baseball and USA Hockey have stepped in and placed some limits on how frequently kids can play. I know that certainly when my kids were growing up that we did have a lot of these competitive sports where they would play all year and it just seemed a little crazy, but it does seem as if there is more of a balance and, what about you and advising patients and families and, you know, their children, about the importance of playing multiple sports and getting out and doing different things. Yes, I’m a big believer in playing different sports. I think it gives the different parts of the body a chance to rest and recover. Unfortunately, I think there’s a lot of pressure on kids to play one sport and play it all season and I think sometimes the parents are driving this a little bit too, in the hopes that they may have a Division 1 college scholarship waiting for them. But I personally think it’s very important to play different sports. You’re listening to Primary Care Today on ReachMD. I’m your host, Dr. Brian McDonough. My special guest today is Dr. Kelton Burbank. We’re talking actually about shoulder injuries, things related to shoulder injuries, and we were just talking a little bit about overuse. What about problems that occur in the 40+ crowd? What are some of the shoulder issues that you see that we should be looking for, or things we might be fooled by? Yes, I think that, as we talked about, rotator cuff dysfunction is a big one. I think the other thing that I see a lot and typically it’s in 40 to 60 year old women, is a frozen shoulder, adhesive capsulitis, and it can really masquerade as anything. The key to this is a good history and then a good physical exam. The history, I find, usually it’s this insidious onset, it’s gradually getting worse; quick, sudden movements make it worse, and if you ask them about a history of trauma, they don’t remember a specific thing but they think back and they try to fit a certain episode to the onset of their pain, such as reaching in the back seat of the car, or for guys it’s usually, throwing a baseball. They think that started the problem when, actually, it was the fact that they didn’t have the motion that precipitated the pain. The physical exam is actually quite telling. It really is about active and passive range of motion. If you can’t move their arm and they can’t move their arm, there is nothing else it can be. That is, if their active and passive range of motion is both limited, it’s typically a frozen shoulder. The only other thing it could be is significant arthritis, but an x-ray would rule that out. And if you think about it logically, if they had a rotator cuff tear, they couldn’t lift their arm, you should be able to lift their arm everywhere, anywhere you want, because it’s torn, it’s not tight. Whereas, with the frozen shoulder, you can’t move it, so it’s tight, it’s stuck. What is the cause? It just develops just from lack of use or what’s the reason why? Unfortunately we don’t know what causes it but there are some things that seem to be associated with it. So, people with diabetes typically get this more frequently than people without diabetes. People with thyroid disease often get it more often than people without thyroid disease. I also find people that are on migraine or seizure medicine get it. Sometimes somebody might get it if they have a history of a trauma where they don’t really tear anything but maybe they have some bleeding in the shoulder and they don’t use it as much as they typically would and it might get stiff. I also have seen it with people that have surgery around the chest, such as breast surgery or cardiac surgery. What’s the approach for treating it? Well, I think the most important thing in treating it is talking to the patient about what it is and what the natural history of it is. I think people get very worried that they’re doing damage to their shoulder, because every time they move it, it kills and, you know, they might end up going to physical therapy, but unless you really talk to them about it, you know, the fact that physical therapy is going to hurt, it’s not going to make the problem worse, but that’s different than saying it’s not going to hurt more, they begin to get it. And the natural history of a frozen shoulder is, often if you do nothing, it will go away spontaneously in about a year and a half to two years. Most of my patients don’t want to wait a year and a half to two years, so we try and intervene to make that a little more palatable for them. So, in my hands, the mainstay is physical therapy for gentle stretching, sort of like pushing the walls back. It’s like you’re in a room where the wall’s closing in on you and you try and push them back and get more motion and, although they may not get all their motion back, if they get a functional range of motion that’s painless, they’re usually much more patient than if they’re having pain with every kind of motion. The next step for me is an intraarticular cortisone injection. So, I offer it to them, but we try to not use it. We try and do the therapy because they’re going to need that anyway. I’ll often start with the therapy, see them back in 6 weeks for a pep talk really, because a lot of them will get discouraged at this point and, again, if they understand that this is a self-limited problem, they’re willing to go with this. And then the cortisone shot is something you can use. So, one of the things that has been studied in the past is the accuracy of an in-office intraarticular cortisone injection. So, in some studies, they’ve actually had orthopedic surgeons inject the medicine into the shoulder in the office and then rate how confident they were that they were in. And, as you might imagine, orthopedic surgeons almost universally were very confident they were in and then they looked at the shoulder with imaging. So, they had put some dye into the injection material and it turns out that about 20% of the time we were actually getting the injection into the joint. So that means 80% of the time we weren’t. And that can be very frustrating for patients because if the shot doesn’t work you’d like it to be because it didn’t work, not because you didn’t put it in the right place. So, I typically do this in the radiology department. I have the interventional radiologist do it under x-ray so that we know that it went into the right place, so if it doesn’t work, we know it’s because of the disease process, not because we didn’t get it in the right place. The other advantage of this is, if they do a little dye injection, you get an arthrogram, and you get a kind of a cheap quick easy way of knowing whether you’re dealing with a hiding underlying rotator cuff tear as well. You’re listening to Primary Care Today on ReachMD. My guest is Dr. Kelton Burbank. Very interesting condition, because you really aren’t sure what causes it and essentially it just kind of plays out, kind of burns out over time, I guess, and you get to start using the shoulder pretty well. Is there any way with that condition it doesn’t get better? It continues to get worse and progress downhill? It does, it does, but in very few people. And, as I said, in most people if you explain to them the process, they’re willing to hang in there. Certainly one treatment approach is surgery and back before arthroscopy was as ubiquitous as it is now, the treatment used to be to put the patient to sleep and then manipulate their arm and basically rip up all the scar which would work but was a little inelegant. That’s still an option but now we also like to scope the shoulder and try to release the capsule and the adhesions and a little more specifically so that we can get the motion that’s really lacking back. So, we like doing that, but in my hands I would not do that unless the patient’s had at least a year of nonoperative treatment, simply because it’s a self-limited problem. I’m not sure why you would want surgery for something that’s probably going to go away on its own. The only exception to that is if the frozen shoulder is inhibiting them in their work or in their sport so that they really don’t want to wait 6 months, 12 months, to get back and it’s having a big impact on them and their life, but that’s rare in my hands. Dr. Burbank, we only have about a minute to go or so in the program. Is there something that we didn’t talk about, things that maybe we as primary care doctors should be thinking of with shoulder injuries that you’d like to go over? Yes, the one thing that I would like to share with primary care doctors is an approach to rotator cuff tears. The only thing in the shoulder that really has sort of a clock ticking, that it is really important to get the patient on the right track as quickly as possible, is a rotator cuff tear. Everything else, you know, labral tears, arthritis, these are all things that they’re really about pain management. They’re not going to lead to horrendous things in the future. Rotator cuff tears, if they’re missed or neglected, can progress, can atrophy, and can lead to bigger problems down the road. And the attritional tear in the older person, that’s the one that usually the patient has a good chance of kind of staying in equilibrium despite the size of the tear and physical therapy works very well for that, but I find knowing about it and trying to watch for any kind of progression of it is very helpful. The one problem that really needs to be addressed quickly is the traumatic rotator cuff tear. Really that doesn’t do well with physical therapy. Those are the ones that really do well when they’re fixed quickly, that is within 3 months or so. So, those are the ones you’ve got to be alert about. Well, Dr. Kelton Burbank, I want to thank you for joining us on Primary Care Today. I think you really talked about a lot of issues in a short period of time and I appreciate you taking the time from your busy schedule to join us. This is Dr. Brian McDonough. If you missed any or part of this discussion, please visit ReachMD.com/PrimaryCareToday. You can download the podcast and learn more on the series. Thank you very much for listening. Shoulder pain is one of the most common presentations in primary care, but the most proper workups to determine causes and develop effective treatment plans are not universally known. Joining Dr. Brian McDonough to update clinicians on common shoulder injuries, the patient histories that often correspond with them, and best treatment practices for each problem, is Dr. Kelton Burbank, orthopedic surgeon and the Worcester Medical Center in Worcester, MA. Dr. Burbank is the orthopedic consultant for the UMass-Amherst men’s hockey team and the Massachusetts representative to the American Orthopaedic Society for Sports Medicine. He is also president of the New England Orthopedic Society.